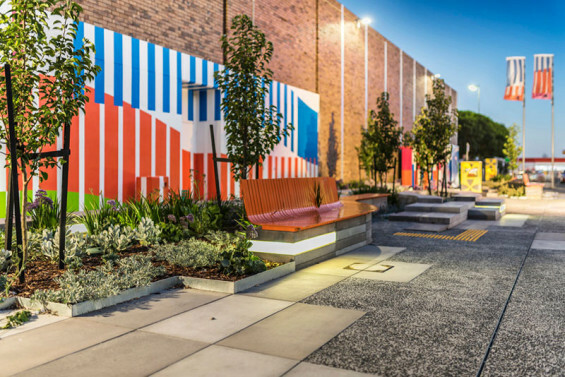 The design vision for Morgan Court, Glenroy arose from the many conversations with the local community and stakeholders that became the cornerstone of the project. 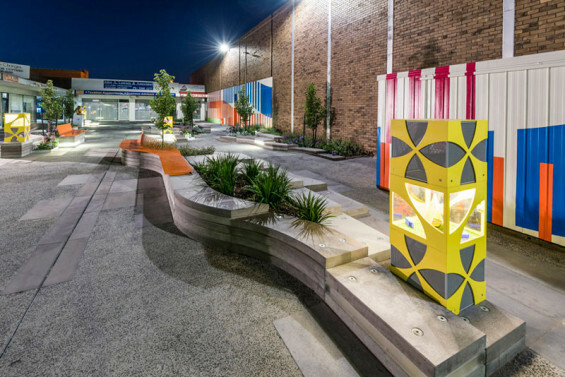 This in depth local engagement process, together with the careful consideration of the long term objectives within the Glenroy Activity Centre Structure plan, resulted in a design that seeks to activate this public space now and into the future. 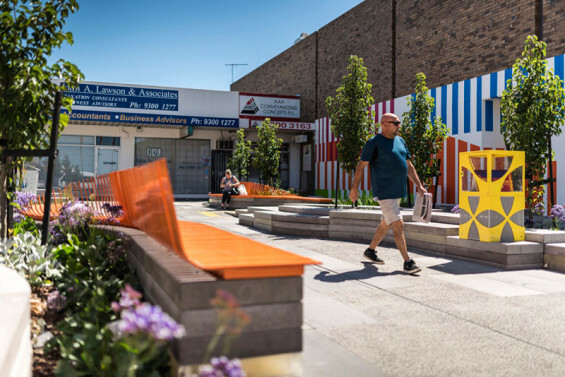 These informative conversations strengthened the project’s focus on changing perceptions about the value of Morgan Court; how can the community’s appreciation be strengthened through an integrated and vibrant approach to this retail area? 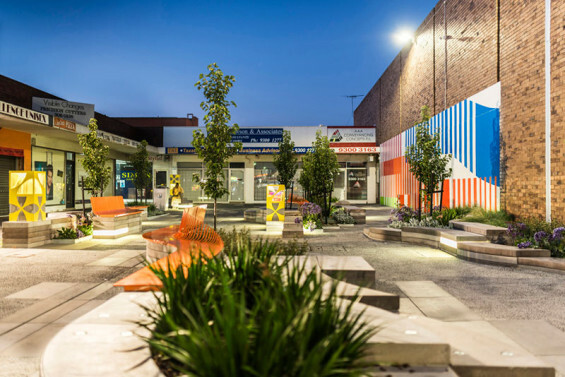 To revitalise Morgan Court, the public space has been reconfigured and pedestrian movement has been prioritized with the aim of increasing visitation, occupation and community ownership of central Glenroy. 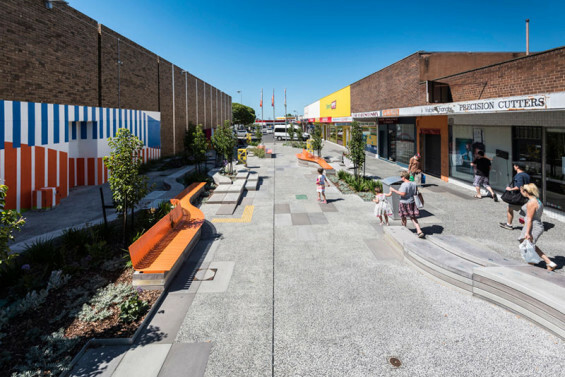 This revitalisation through surface treatments, seating, shade and exhibition opportunities add value, increase passive safety and effectively improve the community’s engagement with this precinct. 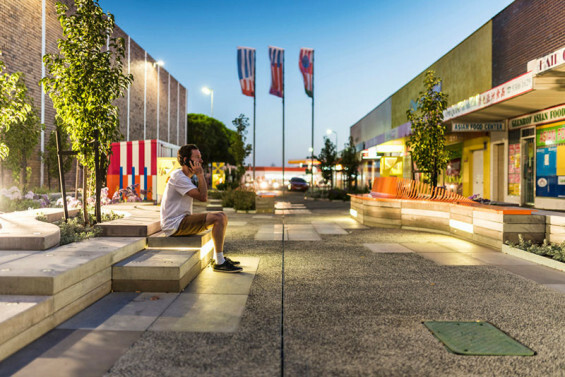 Opening up the view lines through Morgan Court and the existing retail shop frontages, together with improving lighting and the addition of exhibition and projection opportunities, increases visitation and reinforces a local identity. 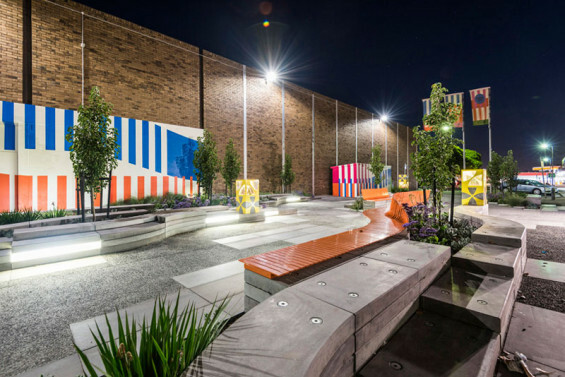 This revitalised space provides an enticing, comfortable and safe environment with programs, exhibitions and performance adding to the Morgan Court experience during both twilight and evening hours. 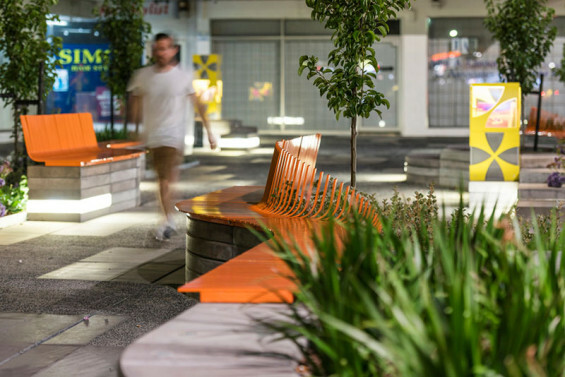 Community participation is increased with evening attractions shifting the space from being a daytime-only thoroughfare to a valued and active local destination into the evenings. 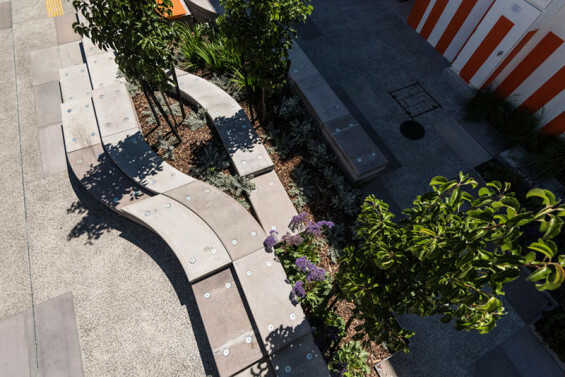 A number of bespoke concrete and steel blocks are repeated throughout Morgan Court and when arranged form robust structures and spatial configurations. 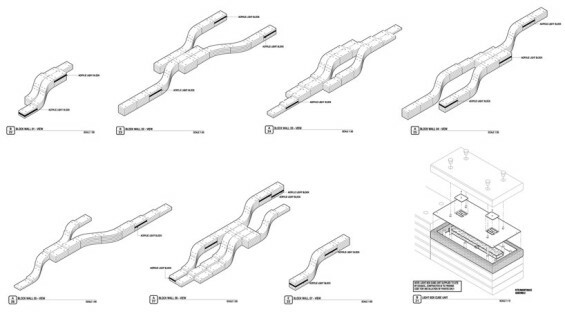 Each repeated block creates the framework for multiple programs, types of occupation and scale of gathering. Using a minimal number of block types (3 types) reduces cost through mass production while still allowing for limitless bespoke arrangements and configurations. 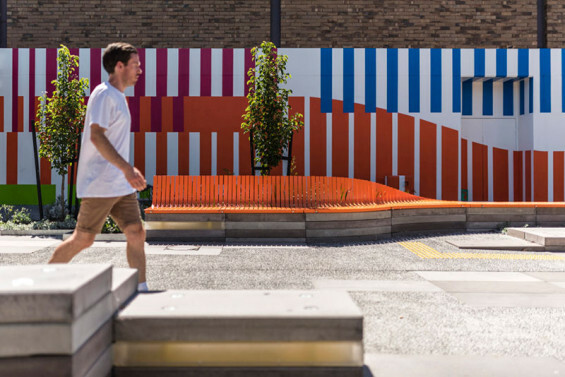 As Morgan Court will be delivered over multiple stages, the blocks allow a level of freedom for the future stage designs while maintaining a consistent identity. 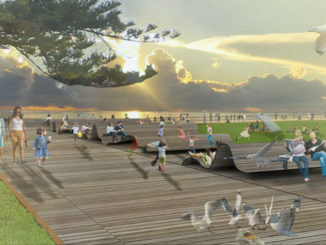 As the design ages and the future stages are delivered, consideration from observed use and occupation will direct how these arrangements will be delivered. This adaptability will be achieved by a dynamic fixing mechanism that allows the block to be reconfigured, altering the associated function. 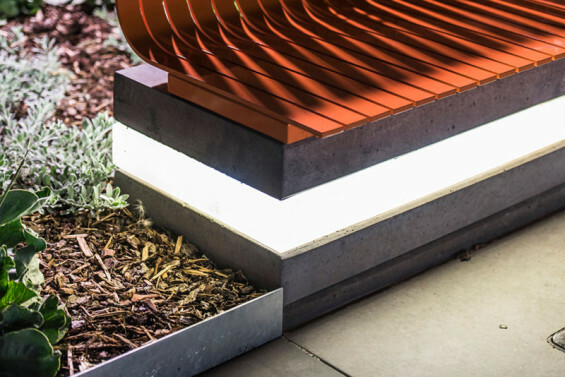 The materials and forms for Morgan Court are robust and have the ability to receive integrated infrastructure. 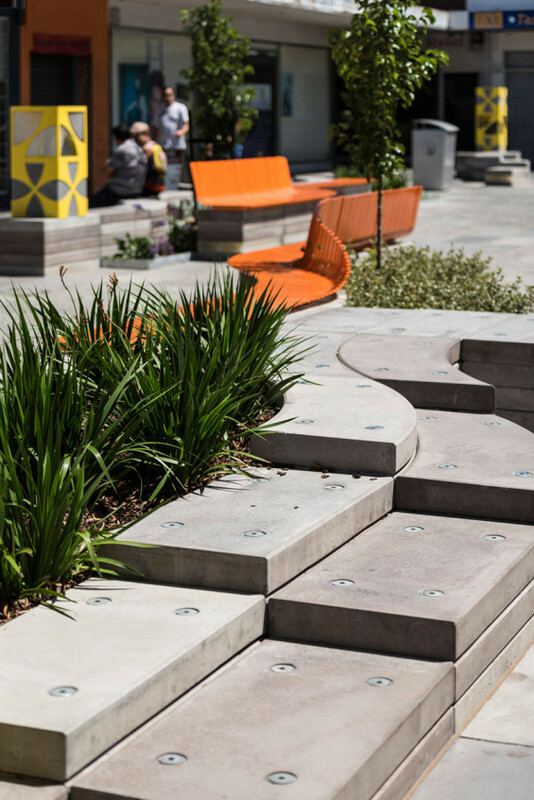 Each block has a series of voids that allow for lighting, electrical and data to be integrated into the seating wall formation. The walls and the fixing mechanism have the capacity for easy future additions of seating and exhibition boxes. Further expansion of the current program of exhibition, performance and art are planned to be integrated into the repeated block forms. 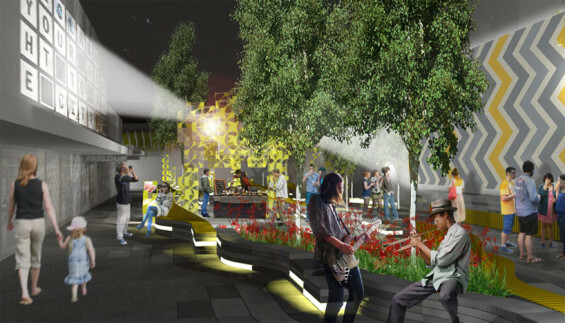 This is to include infrastructure for projection, audio, additional exhibition and food preparation facilities. 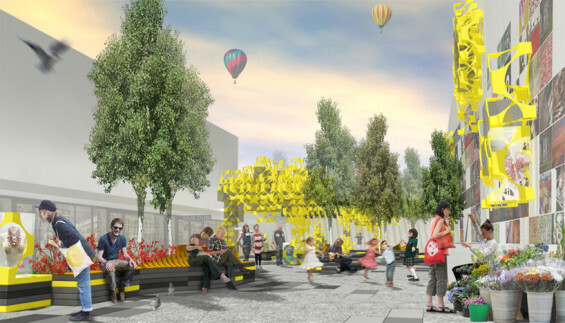 Ultimately, the configuration of Morgan Court aims to maximise the function of all elements within this crucial public space. 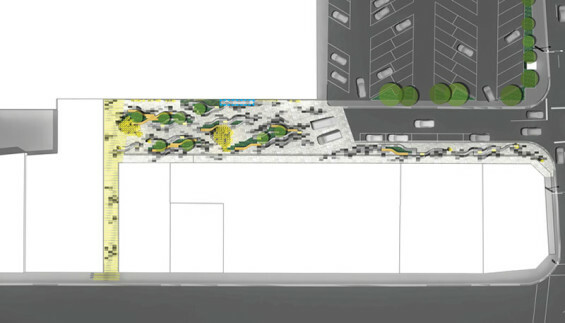 Creating multiple arrangements and spatial opportunities entices the Community to explore Morgan Court and determine their own interaction and occupation.